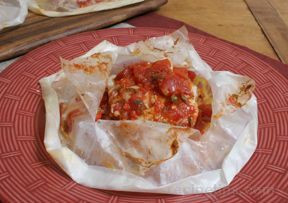 An easy recipe that allows the great flavor of the fish to come through. Rinse the fillets and pat dry with a paper towel. Coat the baking pan with olive oil. Place rinsed fillets on the pan. Season to taste with seafood seasoning. Place in an oven preheated to 400Â°F. Bake the fish for approximately 5 to 10 minutes. 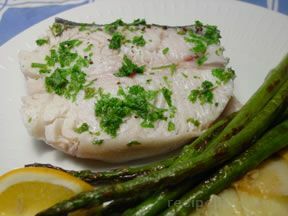 Cooking time will depend on the thickness of the fish. 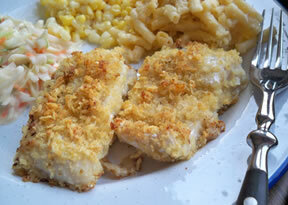 Fish will flake easily with a fork when finished cooking. Cut the fresh orange into slices and place around the outer edge of the platter as a garnish. 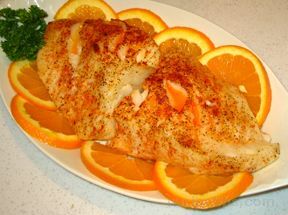 Place the cooked fillets on the orange slices that garnish the platter and serve while the fish is warm.